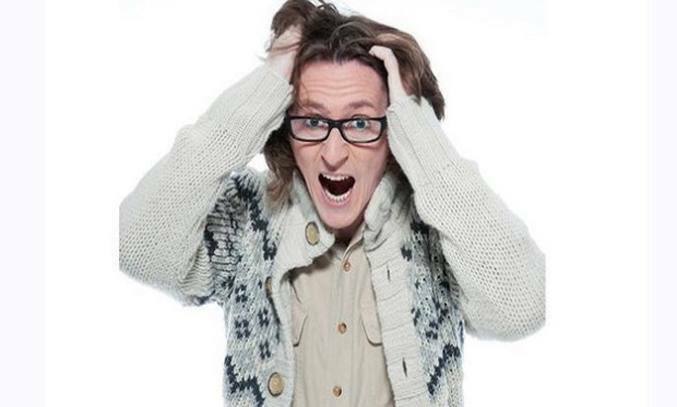 Following critical acclaim at 2015 Edinburgh Fringe Festival, comedian Ed Byrne takes his new show Outside, Looking In on tour across the UK. Byrne is a regular face on the UK and Irish comedy circuit and has enjoyed huge critical and popular success as a stand-up comedian over the past 22 years. Outside, Looking In sees the Irish comedian cleverly turn mundane everyday stories into imaginative anecdotes. The 90-minute set opens with a gutsy story about a horrific gig Byrne once performed for a group of financial forecasters in which he “walked off to the sound of my own feet”. Audience participation also plays a key part in the first half with Byrne working hard to engage the unwilling audience by asking open questions and sharing funny stories on past dating mishaps. The material tends in the second half, to centre on family life, with the 43-year-old married dad of two talking about his experiences as a husband and father. Much of Byrne’s comedy is observational and satirical and the comedian’s sharp-witted observations on parenthood has the audience roaring with laughter, particularly when he recounts his reactions to his children’s behaviour in public. While Byrne’s material is entertaining enough to keep the audience chuckling throughout, the biggest flaw with Outside, Looking In is that there is no obvious narrative to the show. The comedian darts between topics such as sports, dating apps, doctors and bad drivers sporadically and as such, the show feels a little disjointed and slow in places. There is also a rather long-winded and gruesome description about his scatological problems, demonstrating that even the cleverest comics (Byrne included) can’t resist the occasional lavatorial gag. The set picks back up towards the end as Byrne tells a story of how his youngest son picked out a pair of pink trainers only to be bullied at school the following day. The comedian’s response, inspired by something the great Eddie Izzard had once told him, resulted in a rapturous applause from the audience and everyone leaving the theatre with a smile on their face. Byrne is undoubtedly a funny man and while some of the material in Outside, Looking In isn’t particularly new, his talent for injecting hilarity into the monotony of everyday life is sure to get a few belly laughs.